Rosie back to share a project using a variety of products. 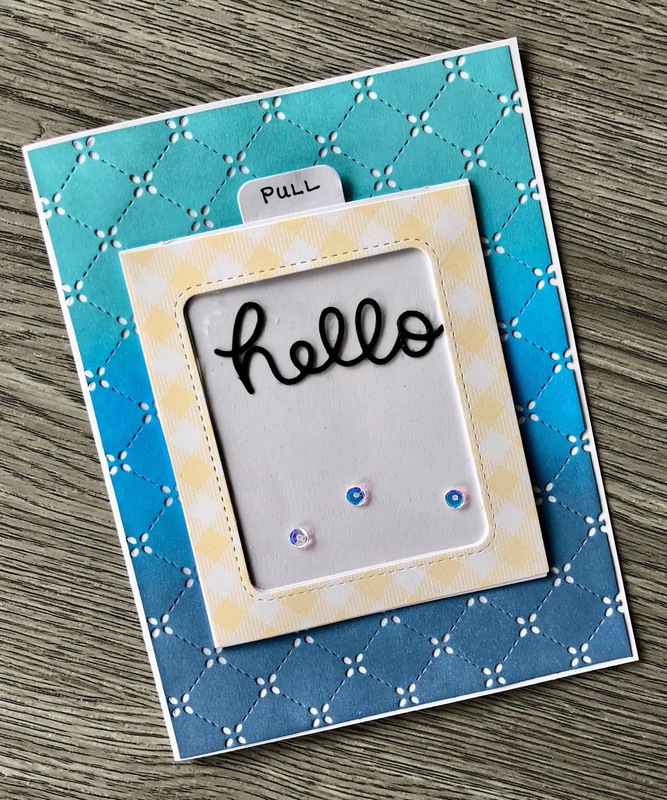 I've had this Lawn Fawn Magic Slider die in my stash for quite awhile so I thought I'd pull it out and give it a whirl 😊. Now on to the card! 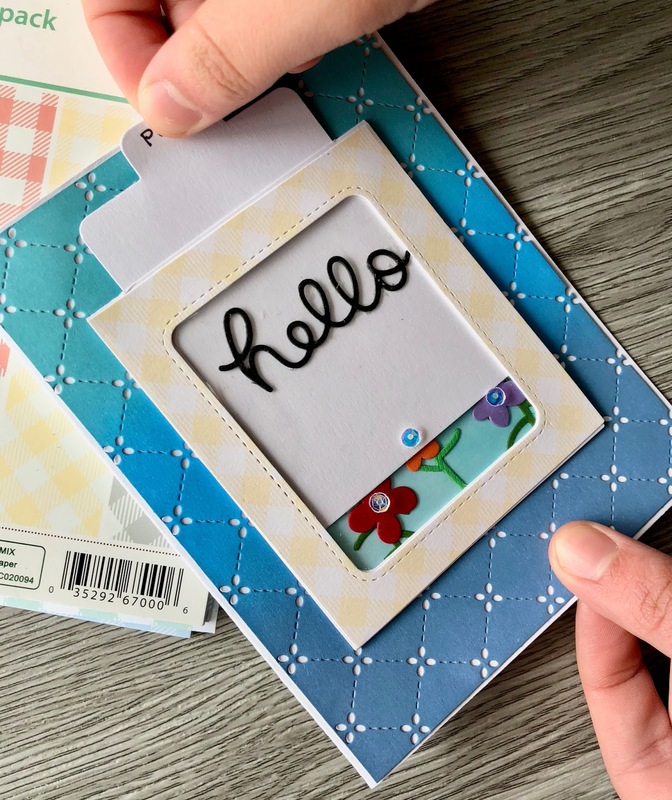 The slider portion is the smaller rectangle with the die cut frame from the paper pack. The slider pieces are all cut from the slider die as well as the gingham frame. 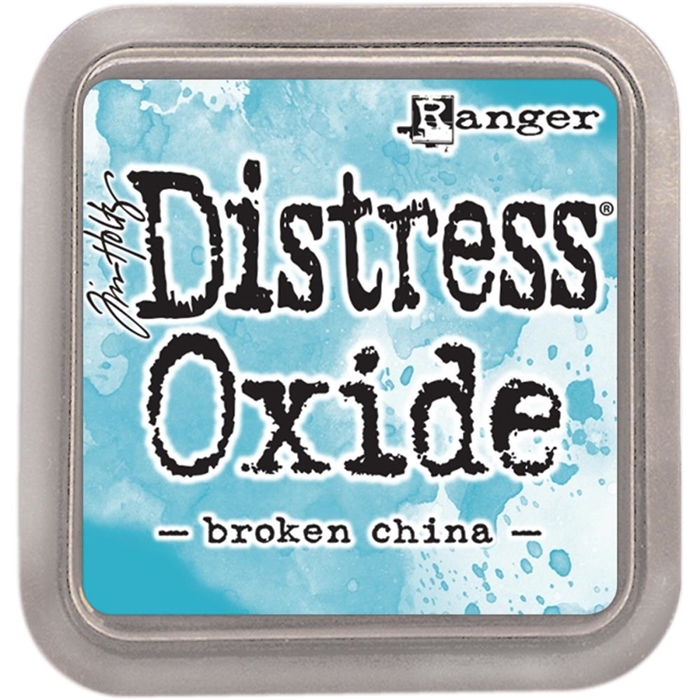 I inked a piece of Neenah card stock with the 3 colors of Distress Oxide ink listed above. Once the piece was dry I cut it with the Lawn Fawn Quilted background die, trimmed it slightly and adhered to a standard A2 card base. Here's a link to a great video by Lawn Fawn explaining how the slider goes together. 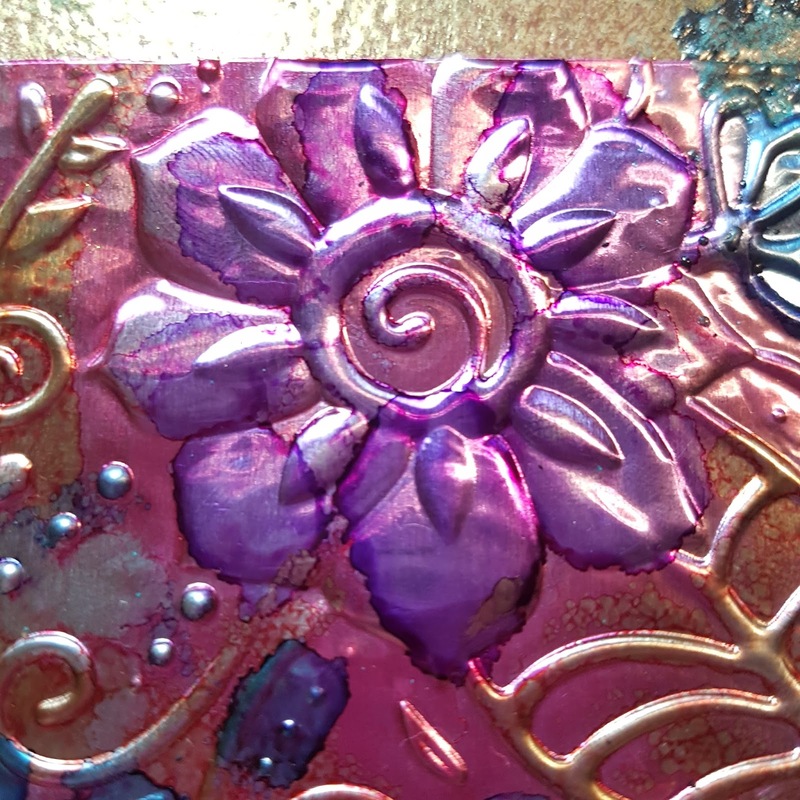 The flowers are die cut with the Tim Holtz Funky Flowers Dies from scrap pieces of card stock. 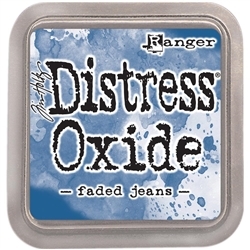 There were adhered to the Distress Oxide inked backround. 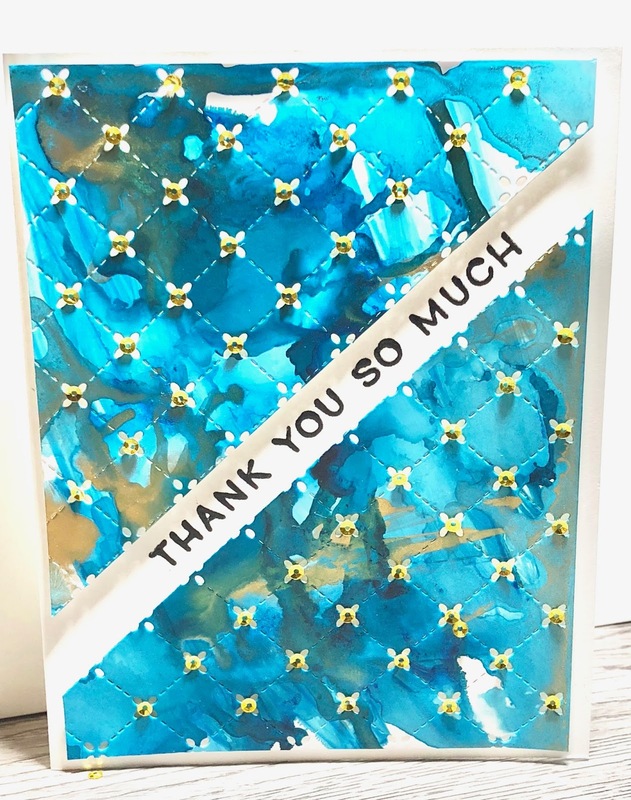 I used a word die cut rather than a stamp and once the slider window was glued closed I adhered Studio Katia sequins over the flower centres. 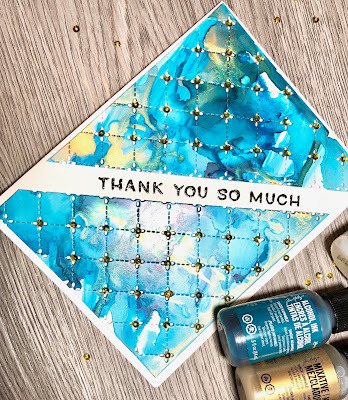 I hope you've enjoyed a closer look at this card, thanks for stopping by! Happy Wednesday!! 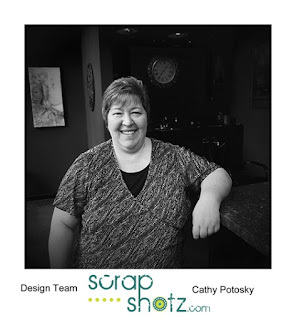 Cathy here to share a couple of projects featuring all new supplies that you can get right here from Scrap Shotz! 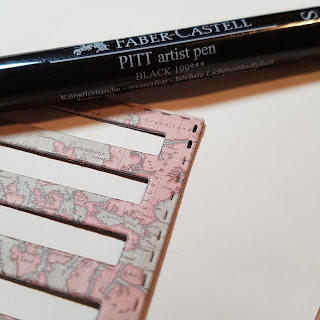 My first project features some of the new Tim Holtz Thinlits! Don't even think about it, just add them to your must have list! 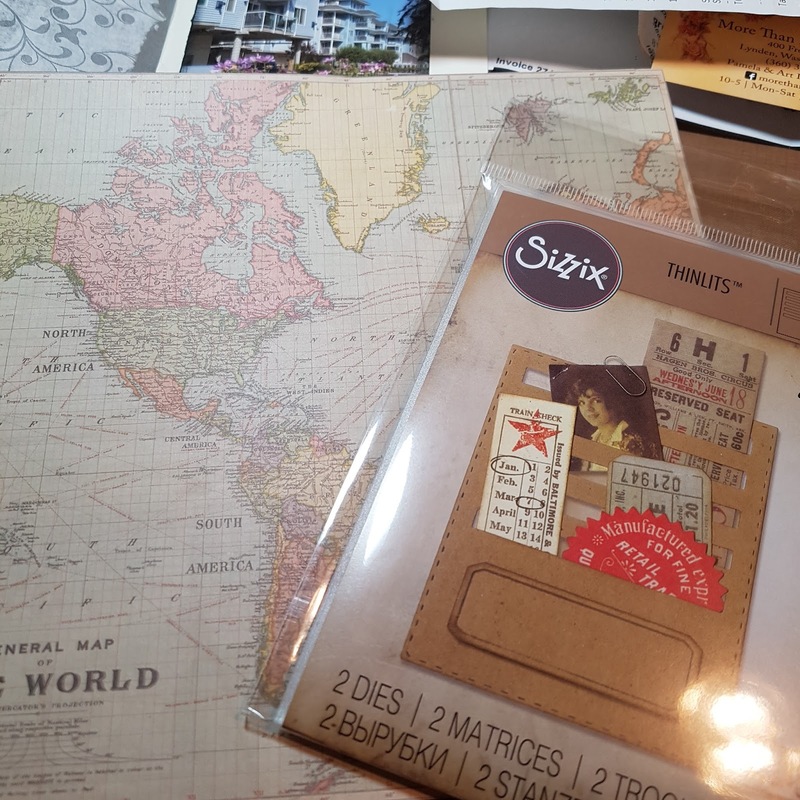 These are the perfect size for your traveler's journals! 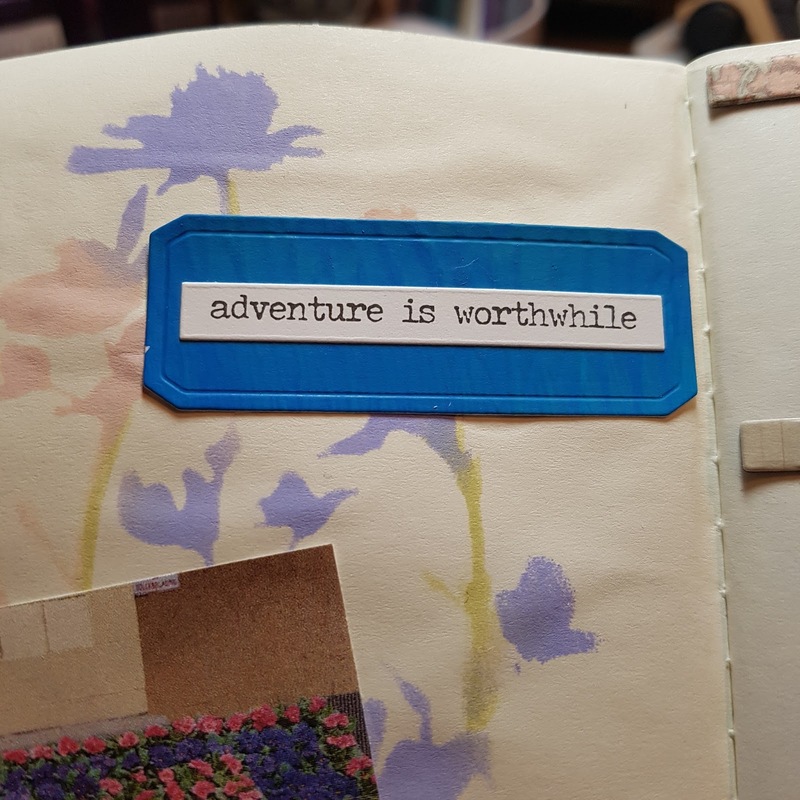 I've started a journal for my mini get away I had in February. 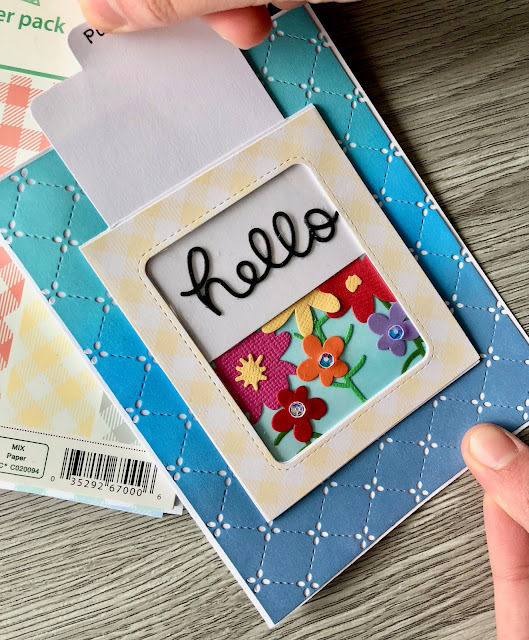 The TH Stitched Slots die is perfect for adding more spots to tuck in your keepsakes. I used some paper from my TH stash and glued it to some cardstock so the pocket would be sturdier. I do not have a sewing machine to stitch, so I just used a black marker to emphasize the stitch marks. I did use a fine tip pen so the nib fit right in the stitches. I cut mine out so the bottom part showed the map that shows the Canada/US border on the side I live on. My little getaway was just across the border into Washington. At the top of the page I used the Tim Holtz Thinlits Shadow Script #1 for my word. 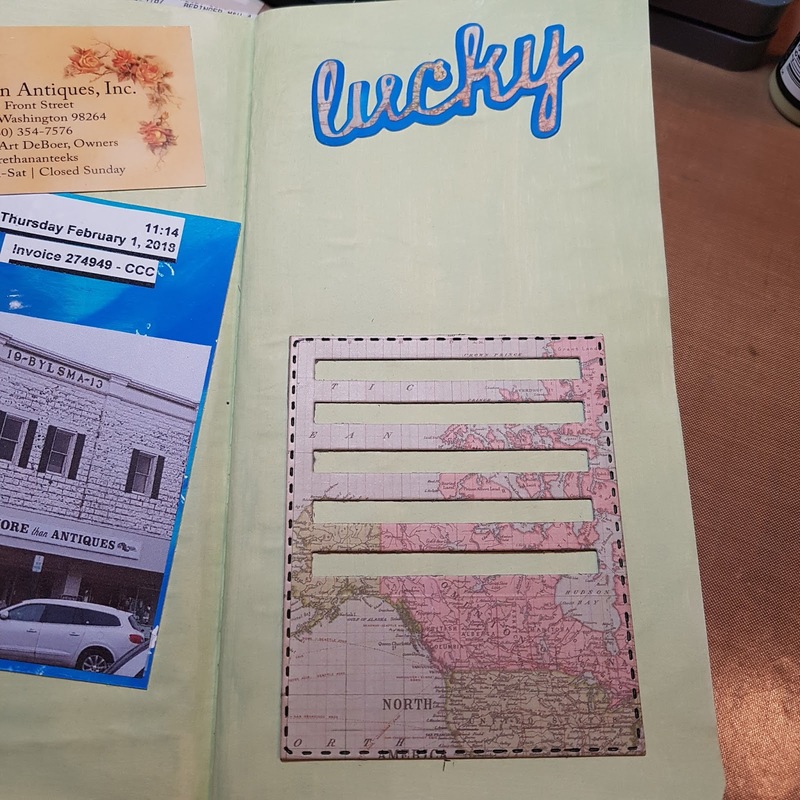 In the first stitched slot I slid in a pic from our first stop and a tag with a description of where we were and what we were up to on the first stop. A quick word of advice, don't throw out the little slot pieces that get cut out! I've used them on the next page. On my second page I used the little cut out parts as embellishments. They'd make a great page border too! 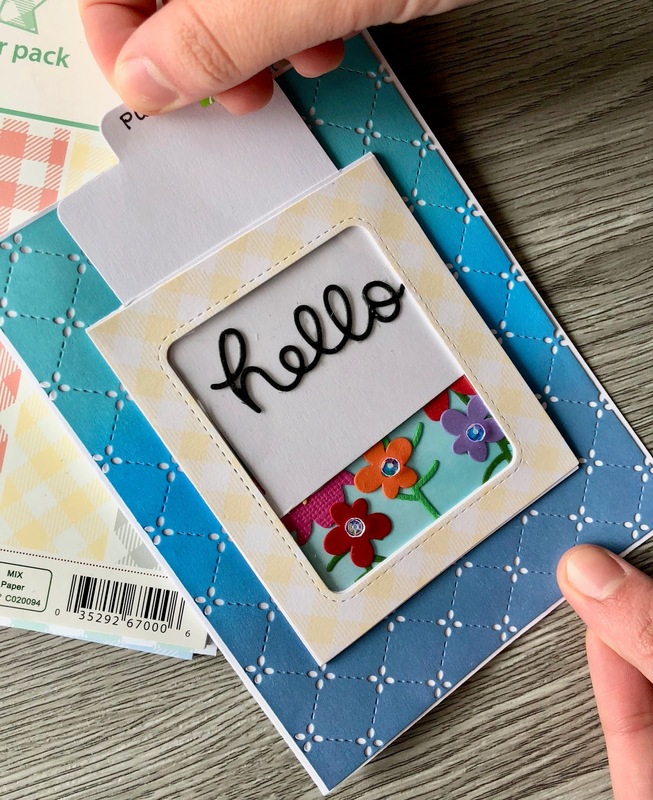 This little label in blue is also from the Stitched Slots set. Perfect for adding a title or words and make them stand out a bit. 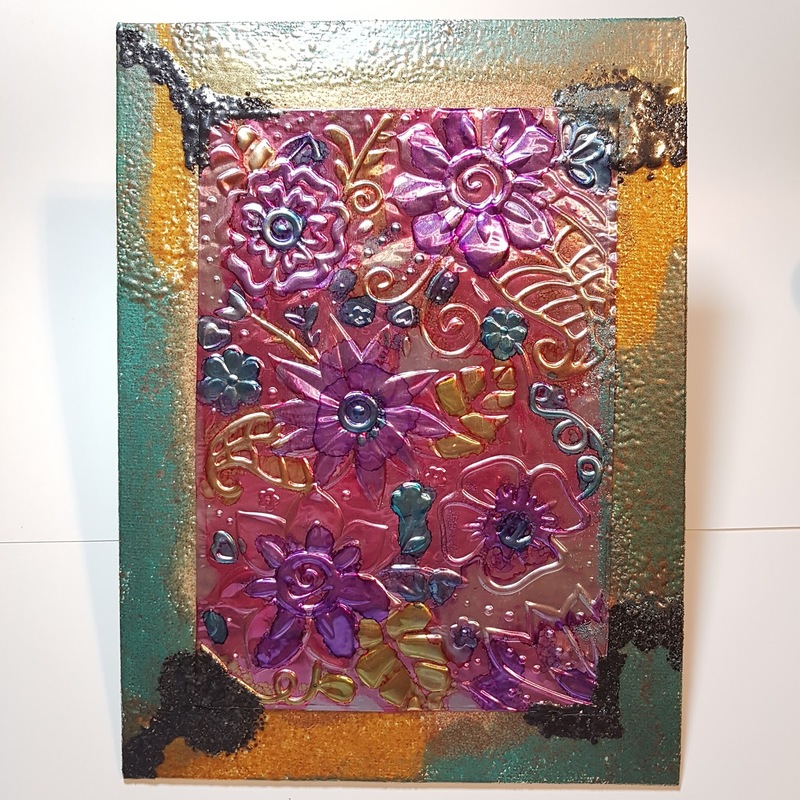 For my second project I used the Sizzix Textured Impressions 3-D Bohemian Botanicals. All I can say is WOW!! 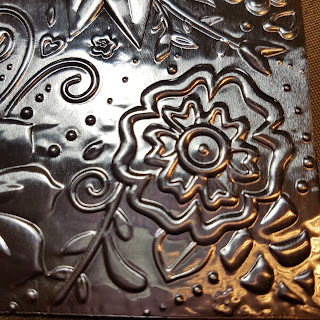 I found a piece of thin metal in my stash and decided to use that to emboss. Look how amazing the metal looks with the 3-D embossing! When using one of these 3-D folders with your Big Shot, use only 1 cutting plate. The folder itself is very thick. 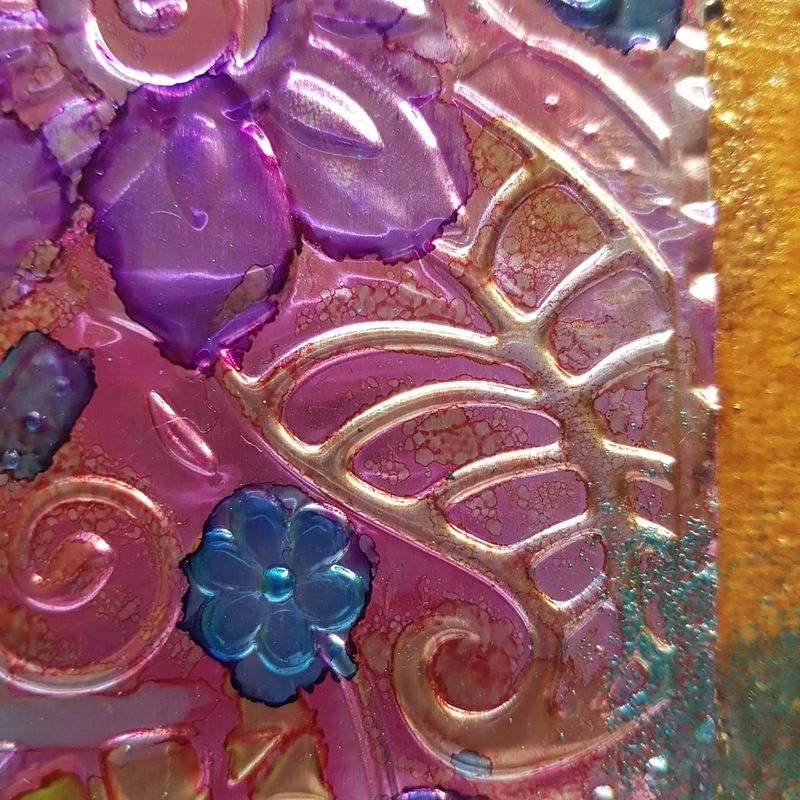 To add my colour I used alcohol ink and touch of blending solution. Once I was done with the inks, I loved how it looked just as it was. 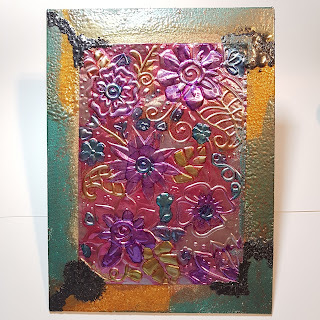 So I used a canvas board for the background and did all the edges using the glorious Baked Texture Embossing Powders.On my project I used Ancient Amber, Patina Oxed and Rocky Road. And here a few close ups of the texture from the embossing powder and the alcohol inked 3-D embossing folder. 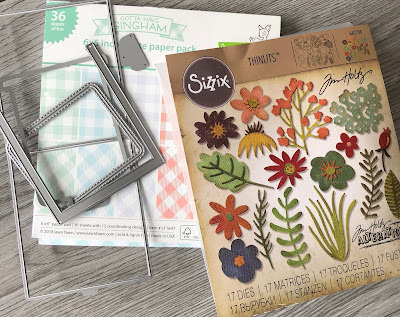 Such amazing products just in at Scrap Shotz! You'll want to get your order in for these great tools for creating! Thanks for supporting Scrap Shotz and our fantastic Design Team! Stay tuned because the April Kit is going to be released soon!! 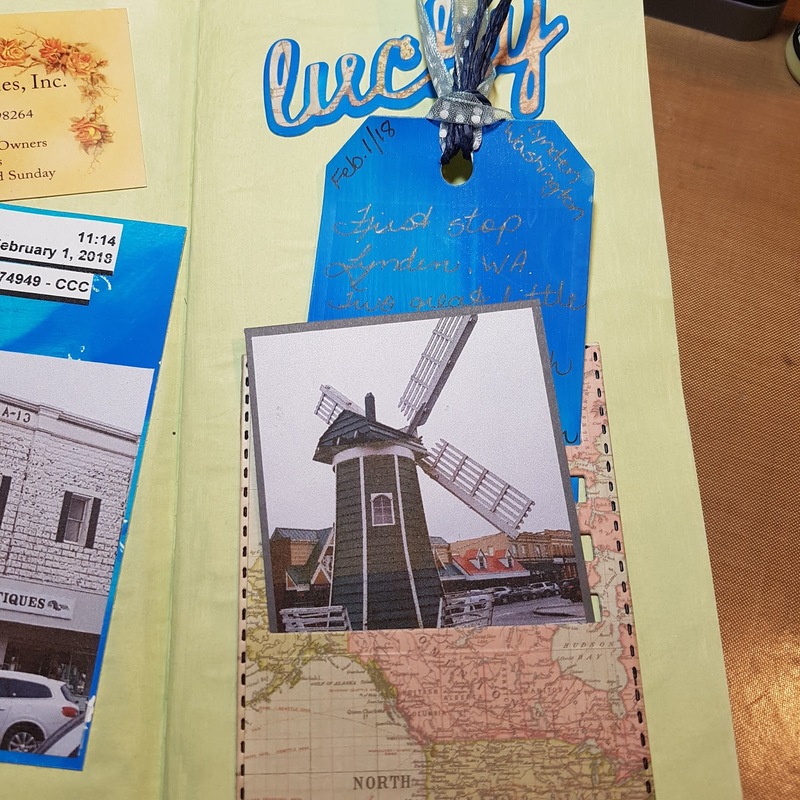 Rosie here to share a couple of projects using a few of the newest Lawn Fawn products in the store. There are a few more Lawn Fawn products I am working with but you'll have to come back to see which ones they are and what I created with them 😉. 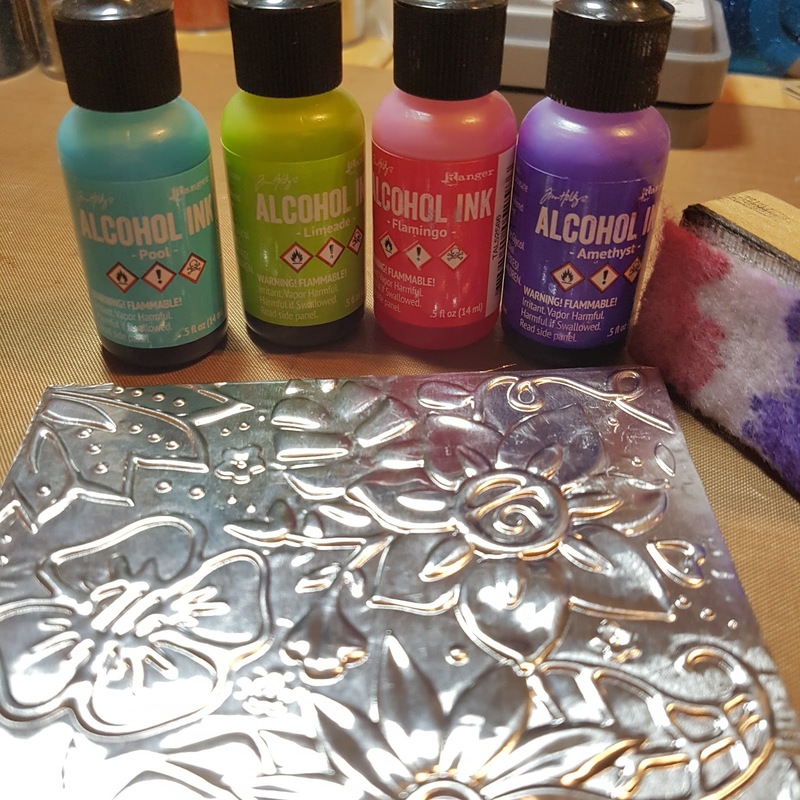 Alcohol inks are becoming popular again, to be honest, I didn't get into them the first time around but when this kit came up at such a good price I thought I would give them a try. The kit includes glossy paper, 3 colours of ink, gold metallic mixative, blending solution, applicator tool and felt pads, stamp and black archival ink. To create this background, begin by dropping Red Pepper ink all over the glossy card stock and tip the paper to distribute the ink around it. 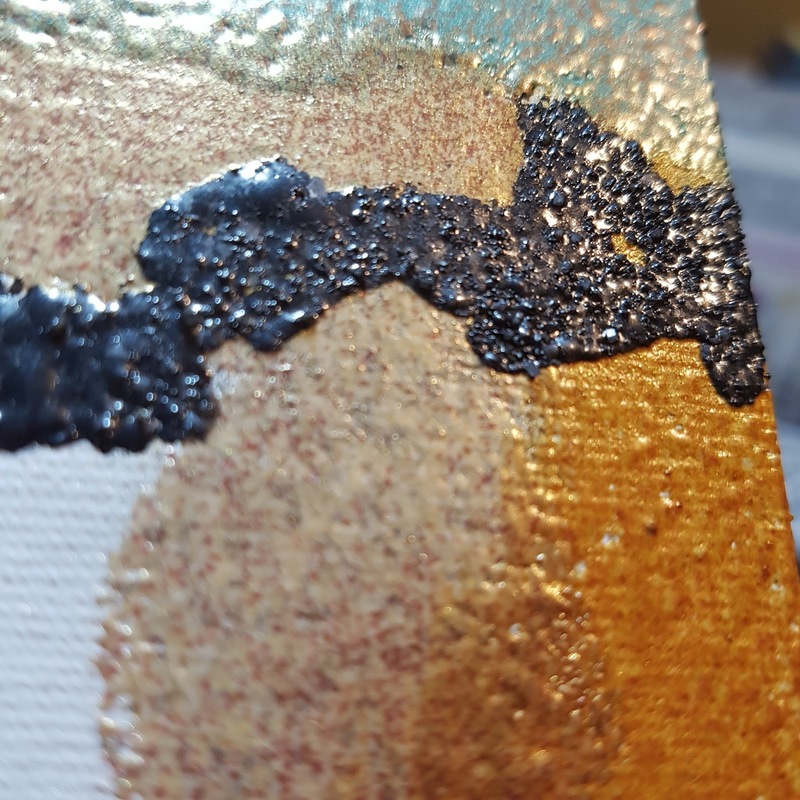 Add a handful of drops of blending solution to move the ink around. Next, drop some of the gold solution and add blending solution to the gold drops and again tip the paper to move the gold ink and solution around until you are satisfied with it. Set aside to dry. The ink dries fairly quickly and while you are waiting you can work on another background! Once the ink dried I ran the card stock and background die through my Big Shot. The pop up butterfly dies are a total of 6 butterflies, 3 which create a popup and 3 which are standalone along with the butterfly centres. 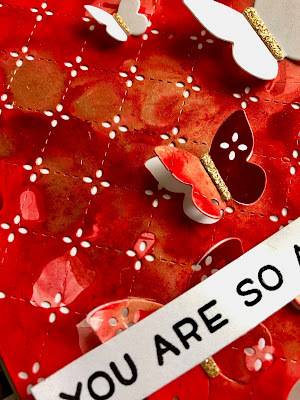 The 3 butterflies on the left of the image, attached to the small, medium and large centres, are the dies that cut out completely. The 3 on the right are the pop up dies. 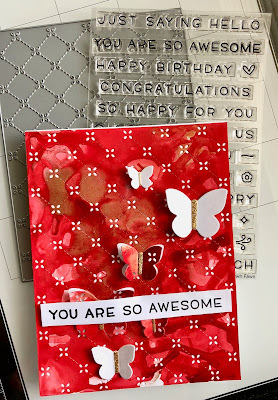 The centres were cut out of gold glitter card stock. The photo doesn't show the Wink of Stella clear glitter I added to all the white butterflies, they are quite sparkly in person. The sentiment is stamped in black Versamark Ink and then heat set with clear embossing powder. 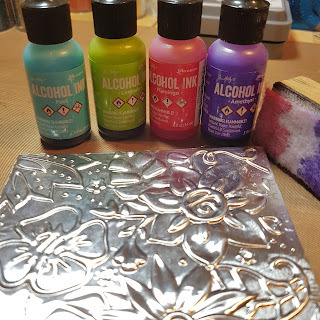 Up next is another alcohol ink background, this time in blue and gold. 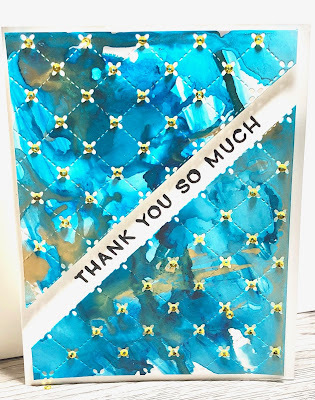 I created the background in a similar manner as the red card, using Stream ink and Gold mixative ink and ink blending solution. I hope to have a video or step by step photo tutorial soon of the process. As with the previous card, I die cut the background once the ink was dry. I used the diagonal die cut lines as a guide to cut the inked background on an angle, leaving plenty of room to stamp the sentiment. 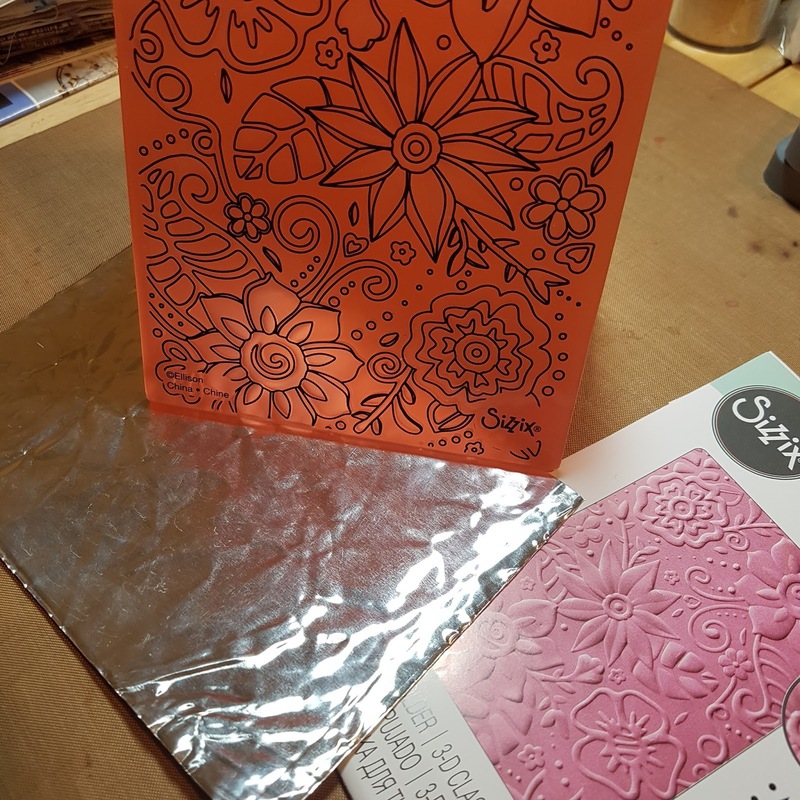 The two halves of the background are adhered with foam tape on the top and bottom of an A2 card. 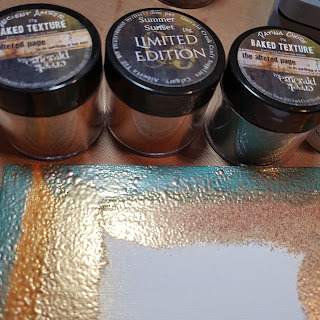 Prior to adhering the 2 halves I stamped the sentiment with Versafine black ink and heat set with clear embossing powder. 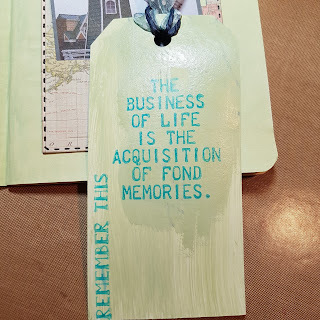 I "dry fit" the inked background to confirm the sentiment placement and use my Misti stamp positioning tool to ensure I got it just right. 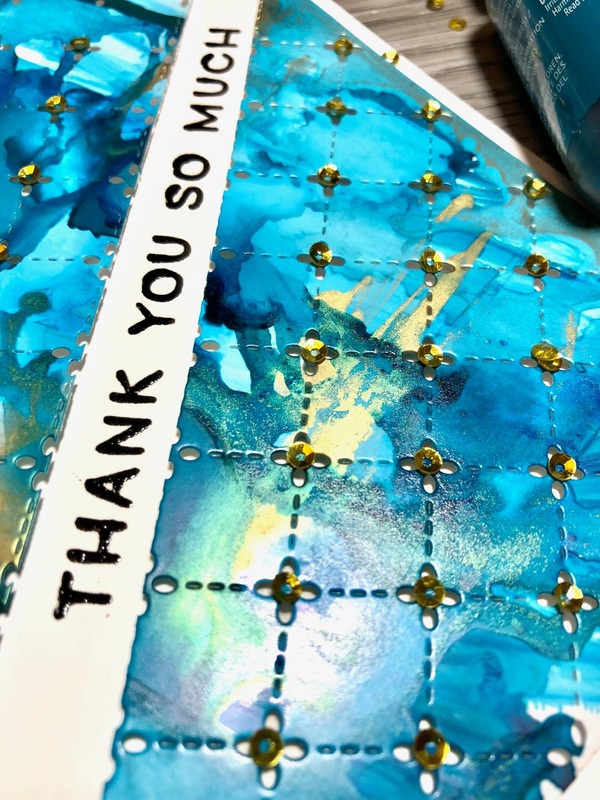 To finish off the card I adhered Studio Katia gold sequins with Tombow Mono liquid glue in the centres of the quilted die cut "flowers". 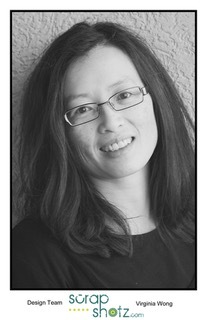 Thanks for spending time here today, feel free to leave a comment or ask questions in the comments! 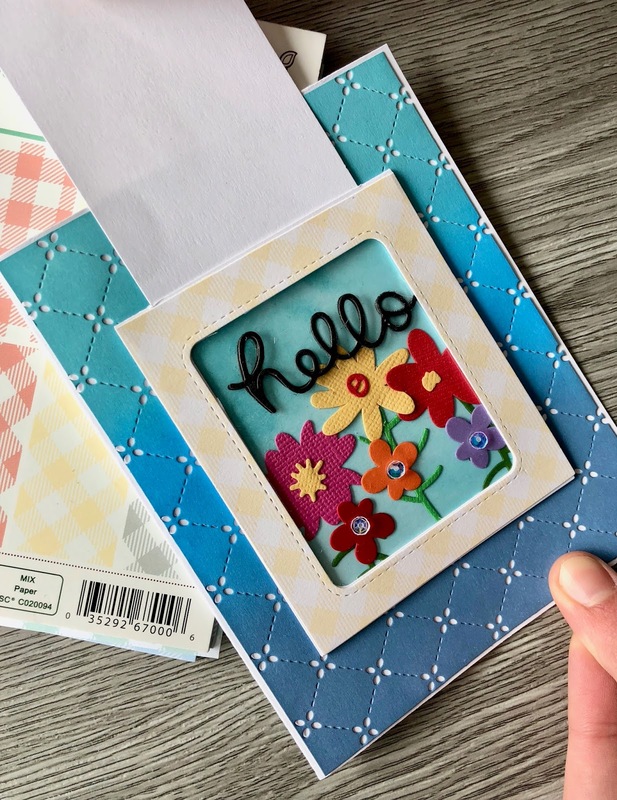 This month, I was so lucky to work with Simple Stories - Sub Zero paper line. 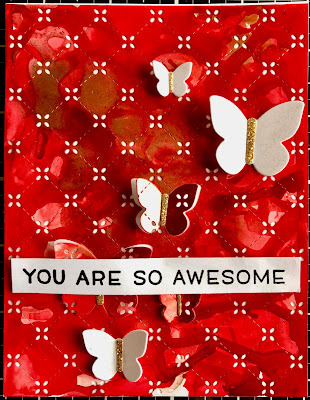 It is colorful, whimsical and chockful of gorgeous pattern papers and accents. In March, we celebrate alot of birthdays between family and friends. For a special someone, I wanted to make a cute card but could include some personal and heartfelt thoughts. This layered card seemed like the perfect combination of a card and album. 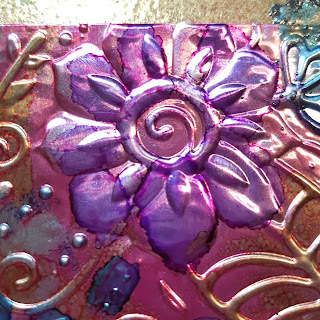 It is 5.75" x 5.75"
A close up of the finished card - its a fabulous way to use up all the sticker elements from the sheet. 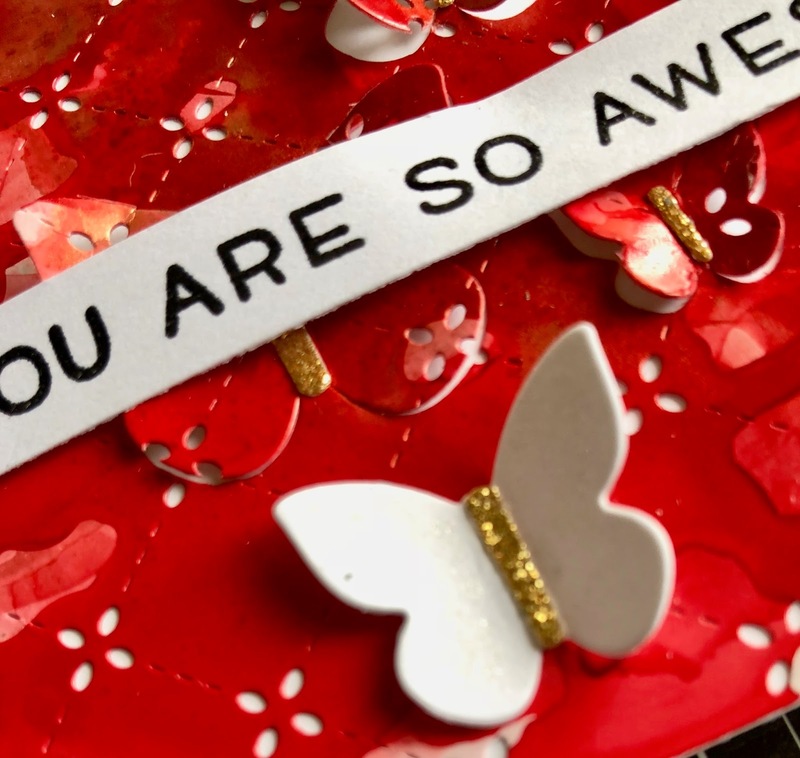 To start, I cut 1 thick piece of cardboard into a 5.75" x 5.75" square and then I cut 4 additional pieces of neutral cardstock to 5.75" x 5.75" too. Then I adhered my pattern paper to both sides of the cardstock and cardboard. 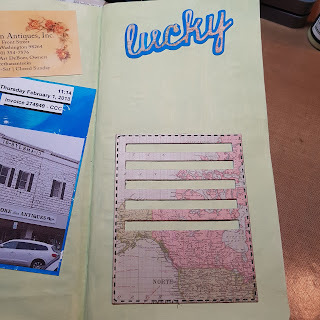 Using my nesting circle dies, I cut 4 circles going from biggest (on the front page) to the smallest (on the second to last page). 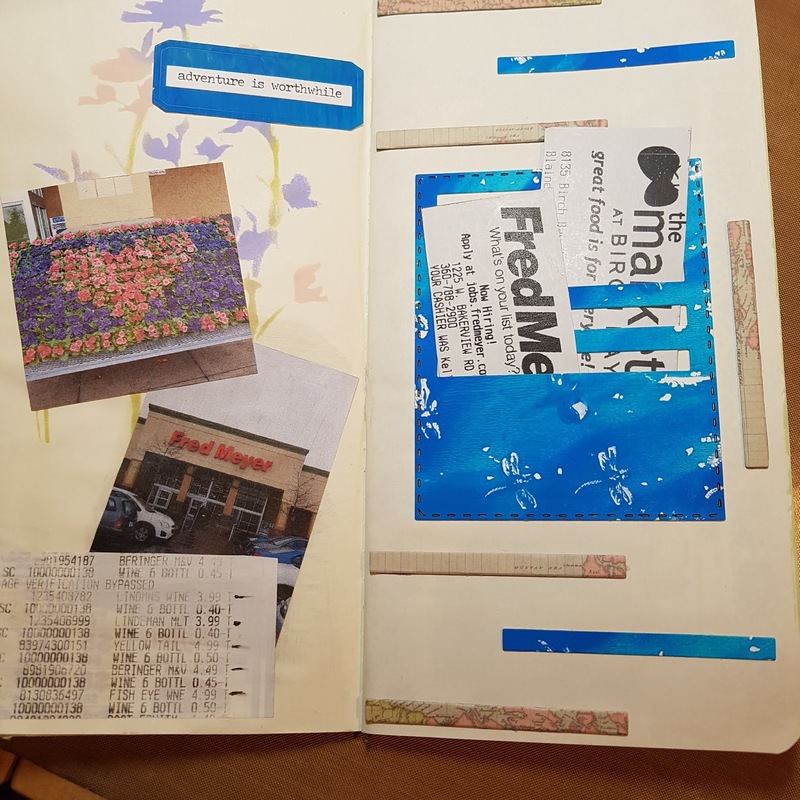 Starting with the bottom layer I created a scene with my sticker sheet. I lined up the circle to make sure my snowboarding bear peeked through. Then the fun began with the layering and decorating. Please note that I did not show the back sides of the pages as it held some personal writings. And the next layer...I just adore that penguin. Yet another layer...the colors against the neutral background pops! 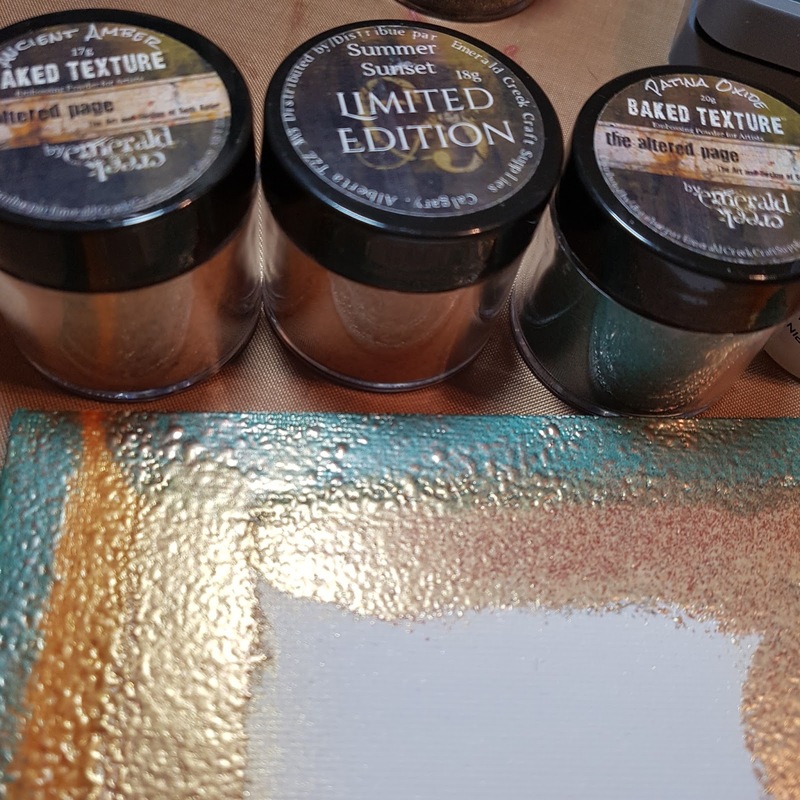 I applied my powder tool to the edges of the stickers so they did not stick to the bottom layers. 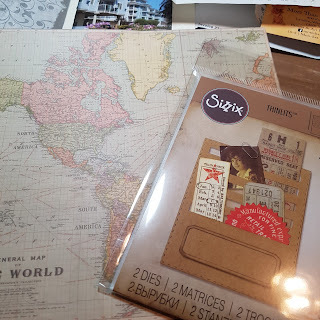 Unboxing The March Simple Stories I Am Kit!